I’m excited to announce that I’m going to be presenting a workshop associated with Write the Docs in Portland! 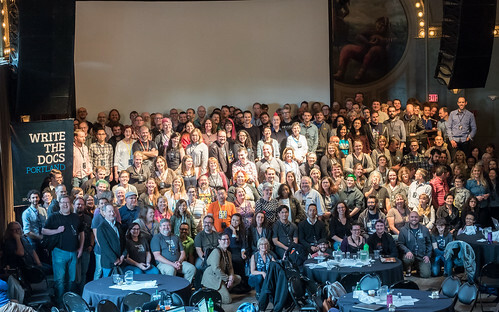 Write the Docs is an exciting community-based conference that draws in a mixture of technical writers, support folks, independents of all stripes, API writers, open-source developers, and a wide variety of other types of people. We all come together to talk about how we can use documentation to get our point across to users, and how our experiences can help others. It’s the technical conference of my heart. This workshop is designed to teach you a few basic theories of technical documentation, such as task-based topics, reusable content, and writing for an audience. After the overview, you’ll learn techniques for writing bug reports, error messages, and onboarding instructions in a tool-agnostic, repeatable way. You’ll leave this workshop with a handful of techniques, templates, and tests that will improve your team’s communication and your life as a developer. What that means is that I’m going to give a crash course in the key theories of modern documentation and then guide people through some exercises that will hopefully help cement the theories. My goal is that people will leave with some tools that will help them think through their options for documentation. I know that many small companies and organizations don’t have enough money or enough work to supprt a writer, but there is still some degree of writing that needs to be done. If you’re interested in attending this workshop, you can buy tickets through the Write the Docs site. If you’re interested in this workshop or a full-day workshop for your team, you can contact me. I have a special workshop I’m designing to walk a team through their onboarding procedure so they can get it out of their heads and into shareable form. Documentating and streamlining onboard is a really cost-effective way to save time for senior people.